12 new single family homes coming on one block. 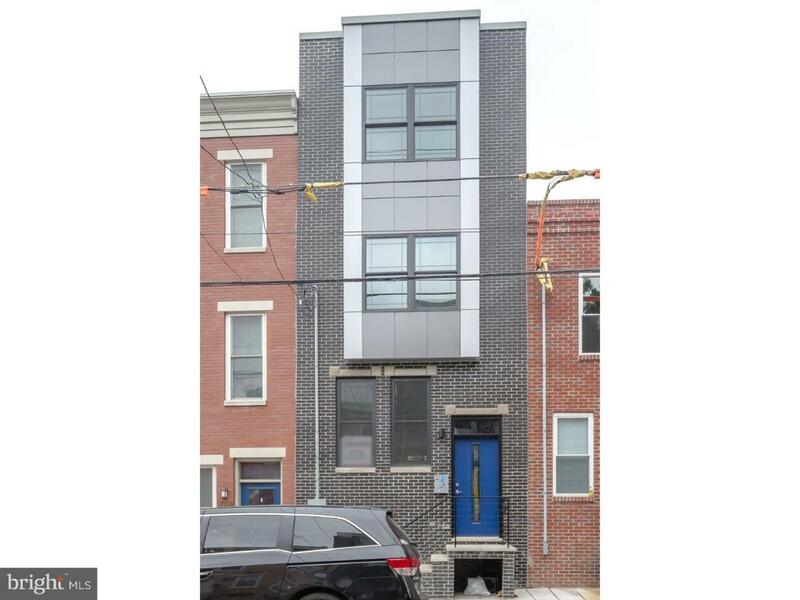 Impressive 15' wide new construction developed by Philly's 2019 Developer of the Year, V2 Properties. These 4 BR 3.5 BA homes feature open floor plans, crown molding, wide-plank hardwood floors, and surround sound speakers - wired and built into the living room, master bedroom, and roof deck. The eat-in kitchen has modern granite countertops with an island, soft-close cabinets on both sides, stainless steel appliances and a back sliding door to maximize natural light. The fully finished basement includes a full bathroom. Notice the spacious bedrooms upstairs along with a second floor washer and dryer for convenience. The master suite boasts a his and her closets, tray ceilings with recessed lighting and a huge master bath with dual vanity and glass shower. Walk up to the roof deck to entertain and appreciate the breathtaking Philadelphia skyline. Notice all of the surrounding new construction properties with a nearby 34 unit new construction building on 30th and Thompson and notice the 200 new construction apartments under construction by 31st and Master Street. Take advantage of a 10 year tax abatement, located near Crime & Punishment, Pizza Dads, RyBrew, 2637 Brew, Green Eggs upcoming, with easy access to Fairmount and 76!